Yes, I know I’ve been gone a little while! But in this post, you’ll see how many things that we’ve been presenting at St John’s over the last six weeks finally came together this past Sunday, during our Lessons and Carols service. One of my favorite narrative structures in books and films is the “slow reveal”– in this case, when seemingly unrelated things are eventually shown to be part of a larger pattern. For us, it is a series of movements that we have sung since CONCORA’s Brahms Requiem concert on November 4th that are all related through a particularly rich section of the book of the prophet Isaiah. In fact, three of the four quotations come from Handel’s oratorio– only verses 6-8, “all people are grass”, comes from another piece, the second movement of Brahms’ Requiem. Otherwise, we heard our soprano soloist, Anna Marie D’Ambrosio and our mezzo-soprano soloist, Lenore Stefanik, singing Isaiah’s words. Below the words, I have included links to YouTube recordings of the four movements, so you can take a trip down memory lane. All of us in the music program at St John’s wish you and yours a very Merry Christmas and a Happy New Year. Come join us on Christmas Eve! We are so accustomed to stories of child prodigies whose careers take off in their 20s that we sometimes forget that there are many composers who languish in a semi-obscurity before they are “discovered”. 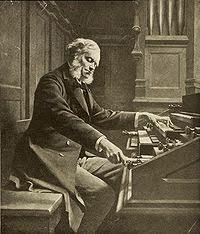 The great French pianist/conductor and composer, César Franck (1822-90) lived such a life. A Belgian by birth, he attended the Paris Conservatory, where he studied piano, organ and composition. He showed solid promise as a composer early on, but for some reason, his career didn’t take off. For many years, he made his living as an organist, most notably at the church of Sainte Clodide in Paris, where he gradually built up a following of admirers. It was for his gift as an improviser at the organ that he gained a small measure of fame. He had an uncanny ability to modulate from key to key with great ease, all the while working with the Gregorian chants that were still such an important part of Roman Catholic worship in the nineteenth century. He was in demand as an organ soloist and consultant on the construction of many new organs– in an age in with the French “organ school” was beginning to gain real traction. But it wasn’t until the age of 50 that Franck’s career really took off, largely in recognition of his outstanding organ skills. 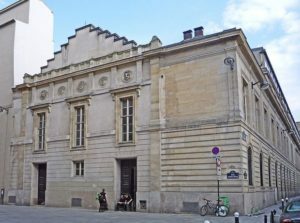 When the Paris Conservatory reopened in 1872, after the Franco-Prussian War, Franck was appointed professor of organ. Ironically, it was as an organ teacher that he emerged as a major French composer. His lessons were as much about composition as they were about organ technique (improvisation– a form of composition–being an essential part of a church organist’s role), and he was deeply admired by his students. This list includes some of the most prominent French composers in the period just before Impressionism: Louis Vierne, Vincent d’Indy, Ernest Chausson and Henri Duparc. To these and other young musicians, he was known as “Père Franck”, the leader of French Romanticism. In years to come Franck would be seen as old-fashioned and too German in his compositional style, thus paving the way for the greatest native French artistic movement, Impressionism. And though it is certainly true that Franck’s music owed a heavy debt to Wagner and Liszt, there are ways in which Franck appears as more of a transitionary figure than the Impressionists gave him credit for. In fact, Franck was humble enough to learn from his students, and he often asked them for feedback in his newer compositions. Perhaps because of this contact with the next generation, his later works showed a freshness and vitality that was missing from his earlier ones. In fact, all of his most famous pieces date from the 1880s, the last decade of Franck’s life: the Symphony in D Minor; Prelude, Chorale and Fugue for piano; the Violin Sonata; and the Piano Quintet in F Minor. This Sunday, we will sing a choral piece from that decade– Franck’s setting of Psalm 150, which he wrote for the dedication of a new organ at the Institute for the Young Blind in 1883. The work shows all of the hallmarks of Franck’s style– modulations to related keys, soaring melodies, and a huge dynamic range from the softest to loudest possible. Of course, the organ accompaniment is exciting; though the work was originally composed for orchestra, it is almost exclusively performed with organ these days. In America, it is also usually sung in English; here is a recording of the original French version. It is almost certainly the best-known Christian hymn in the English-speaking world. You can hear it at funerals. You can hear it played by bagpipes. You can hear it in gospel churches. Its text– “Amazing grace, how sweet a sound that saved a wretch like me… I once was lost, but now am found; was blind, but now I see”– is as direct and clear a statement about salvation as any you will find. The story behind the hymn is equally compelling. John Newton, an English clergyman, spent his early years as a sailor working on board slave trading ships. 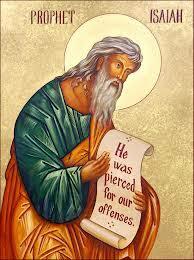 In the midst of a storm, he turned to God; being saved from disaster, he mended his ways and became a minister. 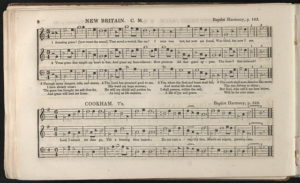 Whatever the story behind the hymn, there is no doubt that it is a foundational piece to Christian hymnody. That’s why the children of St John’s will join our choir this Sunday in a great gospel arrangement version by Jack Schrader. I love Schrader’s piano accompaniments– they really do capture the soul of gospel music. 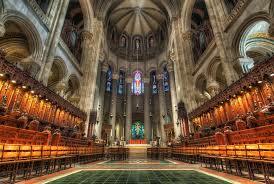 This is a link to a much grander version of that arrangement; ours, with just piano and organ, is more modest! But it’ll be great to have the kids sing with us, and I’m really looking forward to it. And my favorite rendition ever given of this piece? Well, there are three moments in history that always make me tear up– and all three make reference to songs. The first (of course), is Martin Luther King’s great “I Have a Dream” speech, in which he uses “let freedom ring” from “America” as a refrain, as well as the spiritual “Free at Last”. The second is the moment during Lyndon Johnson’s address to Congress when he finishes by saying “we shall overcome”. The third moment is far more recent. I happened to be working from home the afternoon that President Obama traveled to Emanuel AME Church in Charleston to deliver the eulogy for the nine church members tragically gunned down while praying. I watched the entire eulogy, completely enrapt. When the President paused for a moment near the end, I thought that perhaps he was overcome by emotions and afraid to continue, lest his voice break. Instead, after a moment of silence, he began singing “Amazing Grace”. I couldn’t believe my ears. What an extraordinary moment of healing, benediction, and unity: truly, a moment where we saw and felt the audacity of hope. 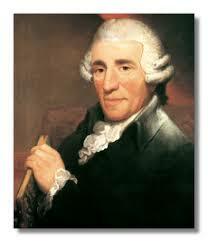 I’ve always felt just a little bad for Franz Josef Haydn. It is impossible to overestimate his influence on composers both in his lifetime and in the century that followed. Both Mozart and Beethoven considered him a mentor; composers of string quartets, symphonies and oratorios for a hundred years after his death owed him a debt of gratitude. And oddly enough, although his life was spent in Austria– most of it working for one family, the Esterhazys– he had a massive influence on English choral music. His two major oratorios, “The Creation” and “The Seasons”, may have been written for audiences in Vienna, but they became huge sensations in England in the 19th century. “The Creation” in particular was also among the most often-performed oratorios in the United States in the 1800s. But despite all of this, in the 20th and 21st centuries, this towering master composer has been eclipsed by Bach and Handel before him, and Mozart and Beethoven after him. This is a shame: the truth is that his music is endlessly inventive, and it runs the emotional gamut from the most moving of slow movements to breathlessly cheerful fast ones. I have conducted “The Creation” on a number of occasions, and I always end the piece feeling so exhilarated that I would happily start over again from the beginning. The oratorio is, as the title suggests, a musical depiction of the creation story. The libretto is drawn from three sources: the story of Creation in Genesis; Milton’s Paradise Lost; and the Psalms. There are three soloists (soprano, tenor and bass) who sing the roles of the archangels Raphael, Uriel and Gabriel. In the Part III, the soprano and bass become Adam and Eve. Each “day” ends with the choir singing a song of praise. This Sunday, we’ll sing the most famous of all those choruses, “The Heavens are Telling the Glory of God”. You can hear the three archangels in a dialogue with the choir in the first part of the movement, before the choir takes entirely over. I particularly like this recording because it is conducted by Sir David Willcocks, whose recordings with the King’s College, Cambridge choir made him a towering figure in 20th century choral music. He died in 2015 at the age of 95. I was lucky enough to work with him for a week when I was in graduate school; he conducted another Haydn work, the Lord Nelson Mass. Sir David brought a special wit and joy to Haydn’s music, as you can hear in this recording. Enjoy! We are lucky to have heard two pieces by Moses Hogan in two weeks at St John’s: last week, you heard our wonderful mezzo-soprano soloist Lenore Stefanik sing his setting of “Sometimes I Feel Like a Motherless Child”; and this Sunday, the choir will sing “We Shall Walk Through the Valley in Peace”. 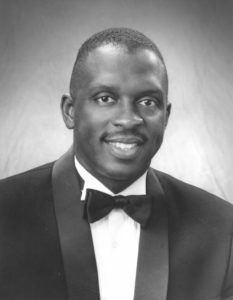 Moses Hogan, who tragically died from a brain tumor at the age of 45 in 2003, was one of the inheritors of the great tradition of African-American spiritual arrangers. A number of these composers are still wide performed today–including H.T. Burleigh, brothers John R. and J. Weldon Johnson, R. Nathaniel Dett, William Dawson– though their arrangements date from the first half of the twentieth century. Moses Hogan, whose Moses Hogan Chorale recorded his own arrangements, is considered perhaps the greatest successor to these earlier musicians. His arrangements combine the traditional a cappella tradition with wonderful piano parts that include references to blues and gospel music. They are profoundly moving, and Hogan’s arrangements have, if anything, gained in popularity since his premature death. Here is a performance of “We Shall Walk Through the Valley in Peace” by the Calvin College Alumni Choir, to whom the work was dedicated in 2001. Welcome to the new Music blog for St John’s Episcopal! This is Chris Shepard, Director of Music. Each week, I will choose one piece of music from the upcoming Sunday service– a hymn, choral anthem or organ work– and write a little about it. That way, you can know a bit more about the music outside the service, whether you “prepare” for the service ahead of time, or relive the music later. One of this week’s anthems is among the most cherished of all choral works. Mozart’s Laudate Dominum, written for soprano and choir, has been recorded countless times. It has a purity and innocence that is matched by few other pieces. The Latin text is from Psalm 117, a song of praise. 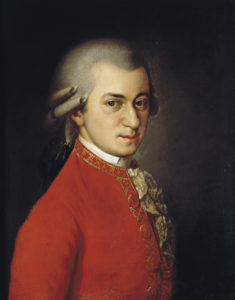 Although Mozart is often thought of more as a composer of opera and instrumental music, he wrote a great deal of choral music, primarily during his early years in Salzburg, where his father was a musician in the court and cathedral of Prince-Archbishop Colloredo. As famously depicted in the film Amadeus, Mozart ultimately chafed against the restrictions he felt in the provincial court. But this doesn’t mean that he didn’t write beautiful music music there. 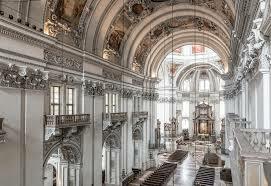 In fact, he wrote many Mass and Vespers settings, including the Vesperae Solennes de Confessore, KV339, the last choral work that he wrote in Salzburg at the age of 23. This beautiful movement shows Mozart’s exposure to– and love of– lyrical Italian operatic writing. Though difficult to sing beautifully, the phrases seem to unfold effortlessly, and any scales or ornamentation seem fully integrated into the stunning melody. There are no fireworks here, just a melody of sublime beauty. At St John’s, we have the delight of hearing our resident soprano soloist Anna Marie D’Ambrosio sing this solo with the choir. In truth, women were rarely allowed to sing in church choirs in Mozart’s time. This performance from YouTube is a more accurate depiction of how Mozart would have heard the work performed. What an extraordinary job this young treble does– we’re lucky these days to hear this work performed by both sopranos and trebles. Welcome to the Music Blog! Check back here in the coming days for posts from our Director of Music, Dr. Chris Shepard.